Our drop shipping program is very beneficial for start up businesses. 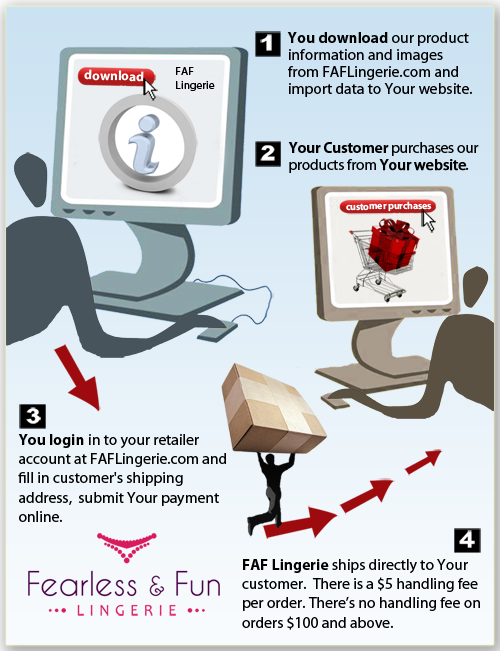 You collect orders from your customers, submit all information here on the site and we ship order directly to them. There is a $5.00 handling fee on all orders drop shipped. There’s no handling fee on orders of $100 or more. - Little to no risk. If a product doesn't sell, you don't buy it!